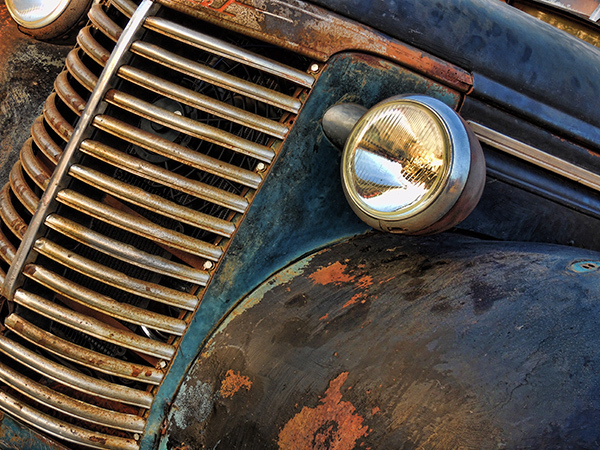 This beautiful close up photo of a rustic Chevrolet grill, features a vintage palette with shades of grey, white and rust. All limited edition Prints on Canvas are gallery wrapped with black or white border and are ready to hang. Award winning photographer, Lori Hutchison has been creating digital art and unique photography for over twenty years, photographing people and places from east to west coast. Her classic car photography collection is a must for every car lover. 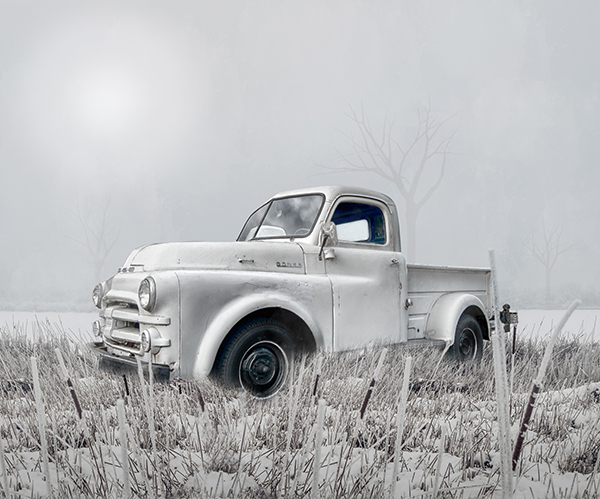 This classic photo of a vintage Dodge truck features a unique, white palette highlighting the truck on a grassy landscape. All limited edition Prints on Canvas are gallery wrapped with black or white border and are ready to hang. Award winning photographer, Lori Hutchison has been creating digital art and unique photography for over twenty years, photographing people and places from east to west coast. 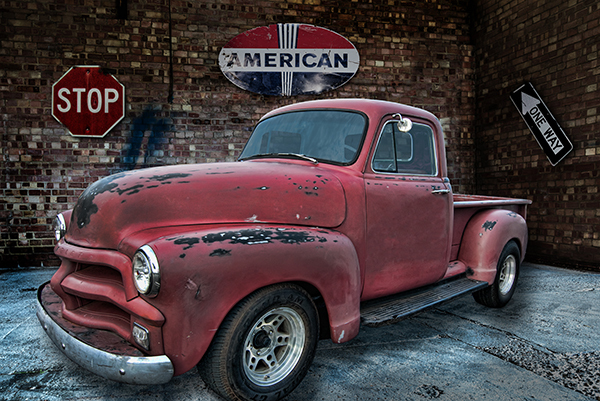 Her classic car photography collection is a must for every car lover. 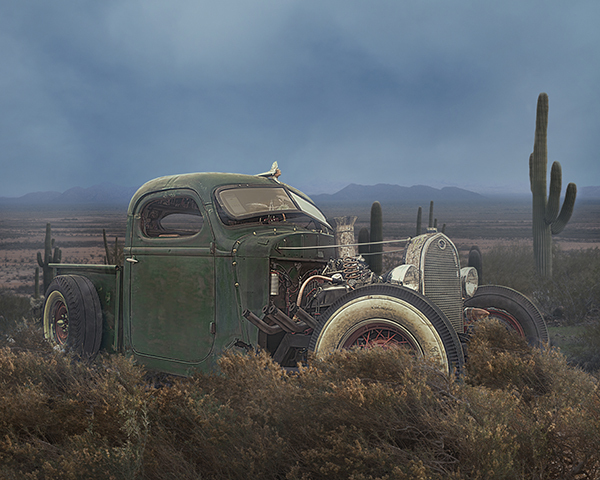 This beautiful nostalgic photo of an abandoned Ford truck features a rustic palette of browns and greens, with the truck on a desert setting at dusk. All limited edition Prints on Canvas are gallery wrapped with black or white border and are ready to hang. Award winning photographer, Lori Hutchison has been creating digital art and unique photography for over twenty years, photographing people and places from east to west coast. 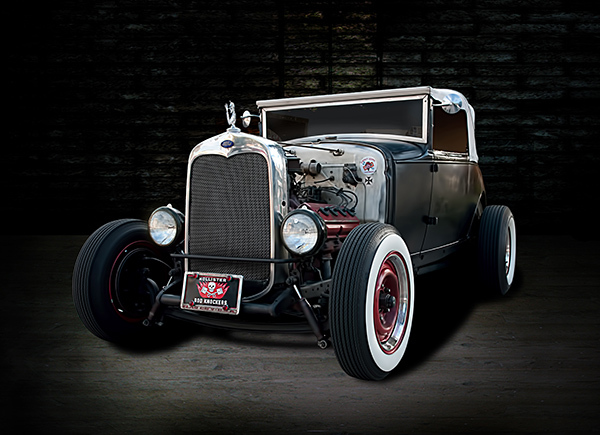 Her classic car photography collection is a must for every car lover. 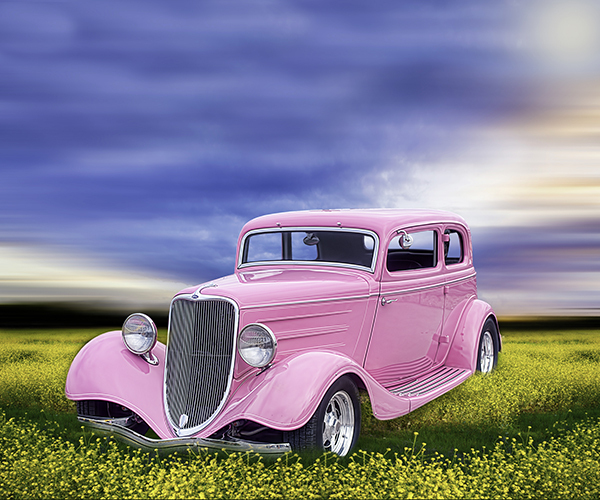 This beautiful photo of a pink antique Ford car, features a vibrant palette of pink, blue, yellow and green, with the car in a field of yellow flowers. All limited edition Prints on Canvas are gallery wrapped with black or white border and are ready to hang. Award winning photographer, Lori Hutchison has been creating digital art and unique photography for over twenty years, photographing people and places from east to west coast. 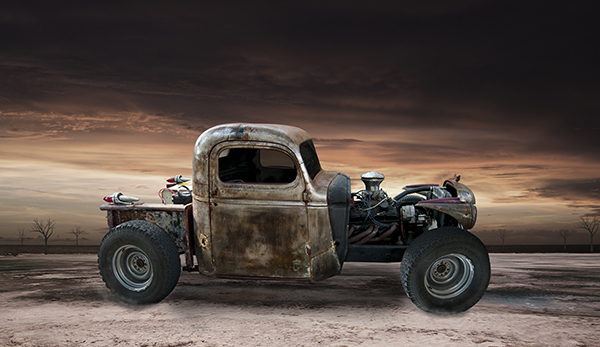 Her classic car photography collection is a must for every car lover. 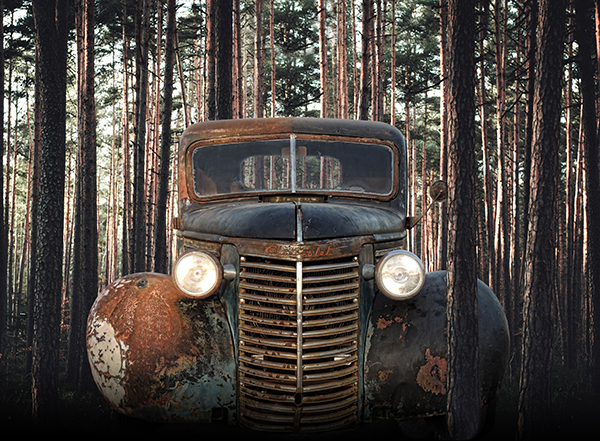 This beautiful photo of a rusted Chevrolet, features a palette of browns and greens, with the truck set in a wooded forest. All limited edition Prints on Canvas are gallery wrapped with black or white border and are ready to hang. Award winning photographer, Lori Hutchison has been creating digital art and unique photography for over twenty years, photographing people and places from east to west coast. Her classic car photography collection is a must for every car lover. 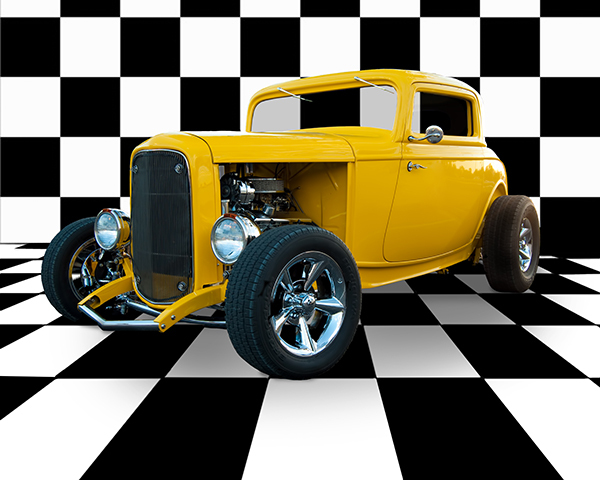 This bold and graphic car photo features a classic shiny yellow car set in a black and white tiled showroom. All limited edition Prints on Canvas are gallery wrapped with black or white border and are ready to hang. Award winning photographer, Lori Hutchison has been creating digital art and unique photography for over twenty years, photographing people and places from east to west coast. 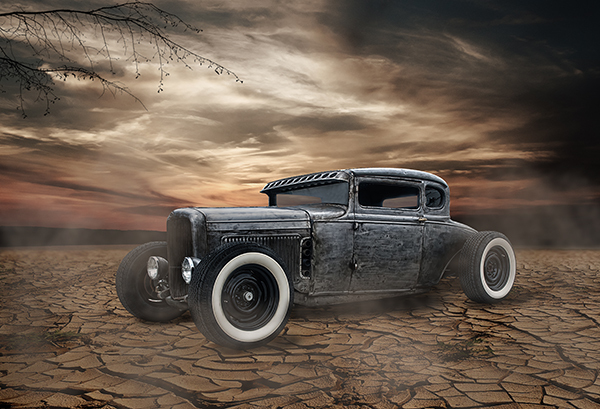 Her classic car photography collection is a must for every car lover.